The American astronomer Edwin Hubble made the observations in 1925 and was the first to prove that the universe is expanding. He proved that there is a direct relationship between the speeds of distant galaxies and their distances from Earth. This is now known as Hubble's Law. There was no such information that existed before his discovery. He suggested that space is expanding from the Big Bang and the acceleration of dark energy. But the objects embedded in space, like planets, stars, and galaxies stay exactly the same size. As space expands, it carries galaxies away from each other. The galaxies outside of our own are moving away from us, and the ones that are farthest away are moving the fastest. This means that no matter what galaxy you happen to be in, all the other galaxies are moving away from you. However, the galaxies are not moving through space, they are moving in space, because space is also moving. In other words, the universe has no center; everything is moving away from everything else. 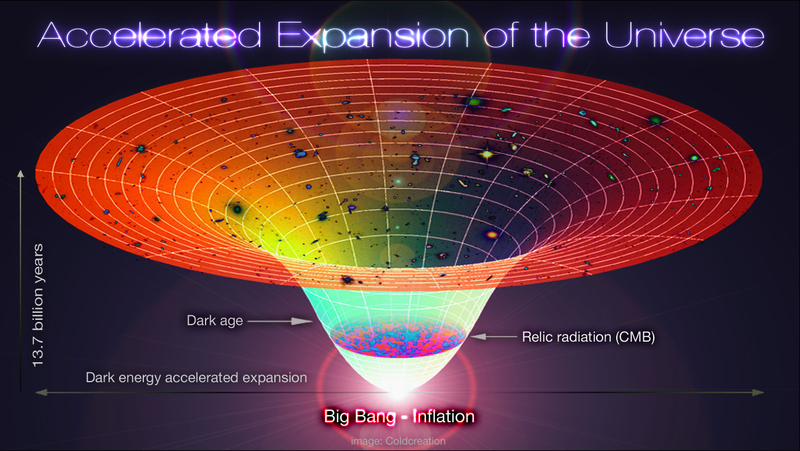 Quran 1400 years ago mentions the expanding of Universe, it states the space comes into being with power and since then it is constantly expanded. This is another proof that Quran is a book from Allah and narrates many signs regarding Him.